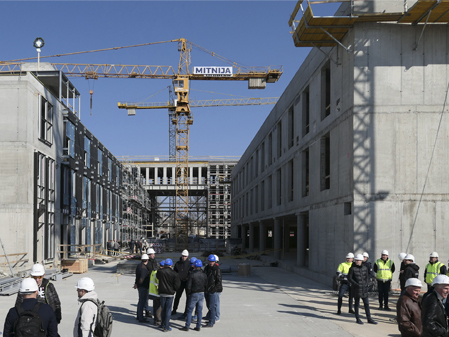 Instalation of the main building structures is completed. 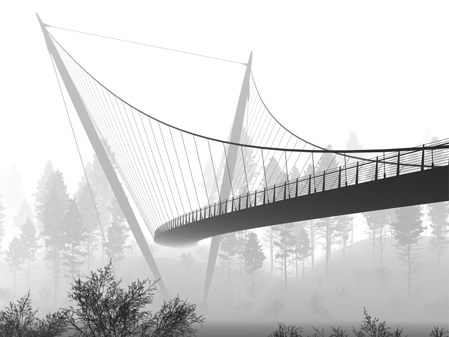 Our proposal in competition for the new bridge in Vilnius is 3rd place winner. 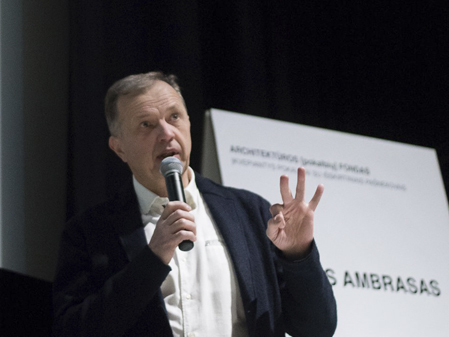 A.Ambrasas gave a lecture in Mo museum on a lecture cycle "Beloved Architecture" organized by Architektūros Fondas. 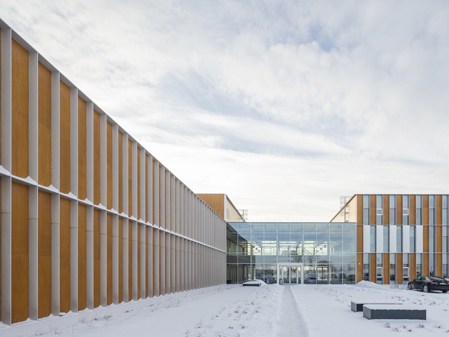 In Babtai, Kaunas district, near the road A1, new office and industrial complex has been compleated. 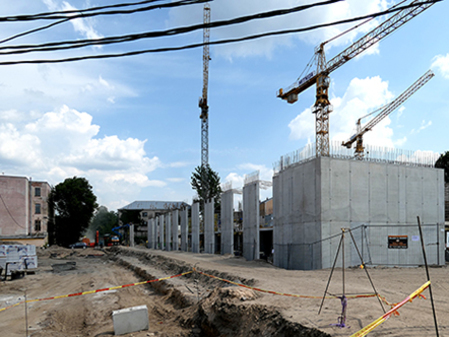 Construction of Paupys - new district in the historic old town of Vilnius is accelerating. Patio is installed in an inner courtyard, atop of unused entrance to the basement. Thermo-treated pine boards are used for the finish. 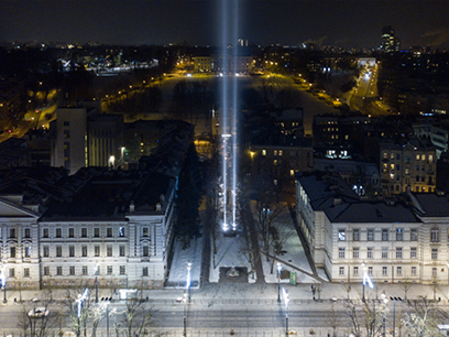 On the eve of 100 year anniversary of Lithuanian independence, an incredible Monument of light, devoted to all contributors on independence struggle has stroke a great beam of light reaching all the way up to the sky. 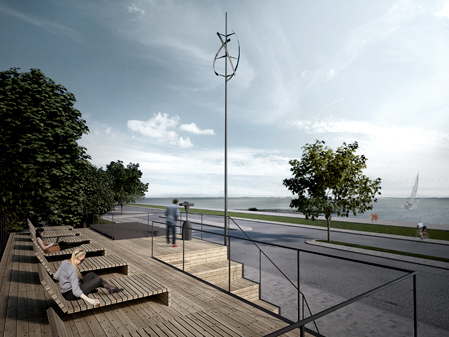 The realisation of this idea has been funded by ten enthusiast artists and businessmen. 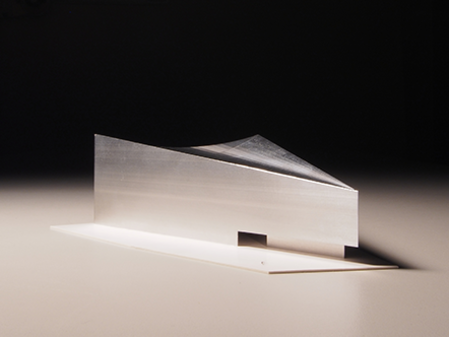 Our proposal for the Teltonika foundation headquarters in Vilnius is the 1st place winner. 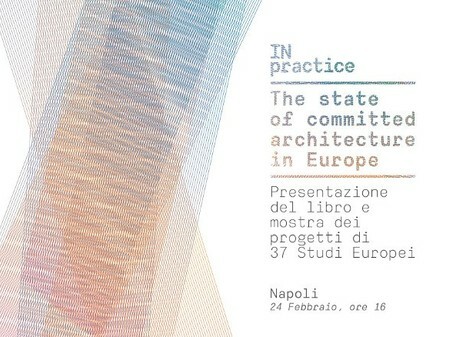 Mindaugas Reklaitis and Vilma Adomonyte have presented our work in an internation exhibition IN practice. 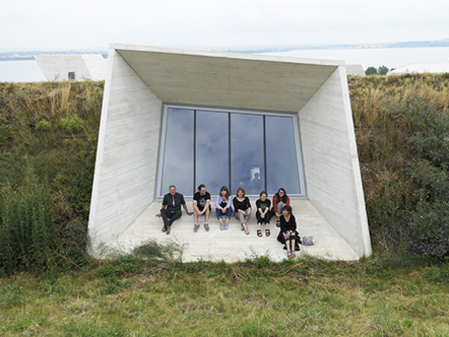 Curated by: AIAC Associazione Italiana di Architettura e Critica, A10 new European architecture Cooperative, Aniai Campania, Diarc Unina.